Languages play a crucial role in our daily lives. They are not only our first medium for communication, education and social integration, but are also at the heart of each person’s unique identity, cultural history and memory. The ongoing loss of indigenous languages is particularly devastating, as the complex knowledges and cultures they foster are increasingly being recognized as strategic resources for good governance, peacebuilding, reconciliation, and sustainable development. More importantly, such losses have huge negative impacts indigenous peoples’ most basic human rights. An International Year is an important mechanism dedicated to raising awareness of a topic of global interest and mobilizing different players for coordinated action around the world. 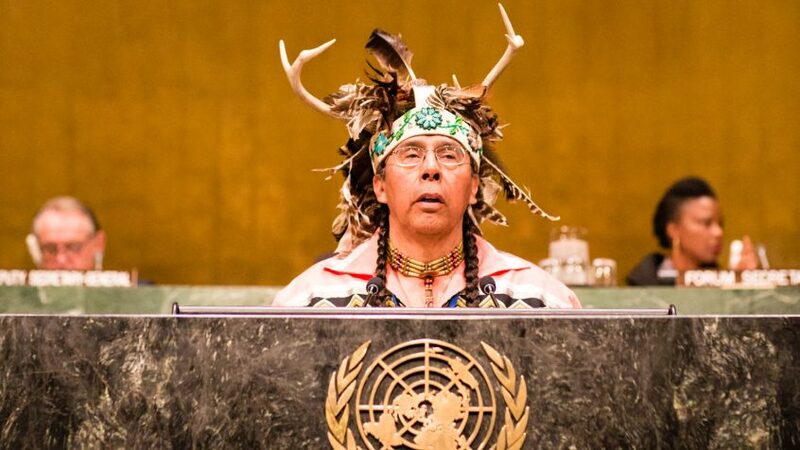 In 2016, the United Nations General Assembly adopted a resolution (A/RES/71/178) proclaiming 2019 as the International Year of Indigenous Languages, based on a recommendation by the Permanent Forum on Indigenous Issues. At the time, the Permanent Forum expressed concern that 40 per cent of the world’s estimated 6,700 languages were in danger of disappearing— the majority belonging to indigenous peoples. Hosted by UNESCO in collaboration with the Permanent Forum, the IYIL 2019 will strive to preserve, support and promote indigenous languages at the national, regional and international levels. 2. Creating favourable conditions for knowledge-sharing and dissemination of good practices. 3. Integrating indigenous languages into a standard setting. 4. Empowering through capacity building. 5. Elaborating new knowledge to foster growth and development.